The average cost of memory care in Hutchinson is $3,102 per month. This is lower than the national median of $4,650. Caring.com has helped thousands of families find high-quality senior care. To speak with one of our Family Advisors about memory care options and costs in Hutchinson, call (855) 863-8283. The city of Hutchinson is located in Reno County in the heart of Kansas, a state where it's estimated that 53,000 people are currently living with Alzheimer's disease. Hutchinson has over 40,000 people and a large senior community that accounts for over 17 percent of the population. To support local seniors with dementia, the city has two memory care facilities. 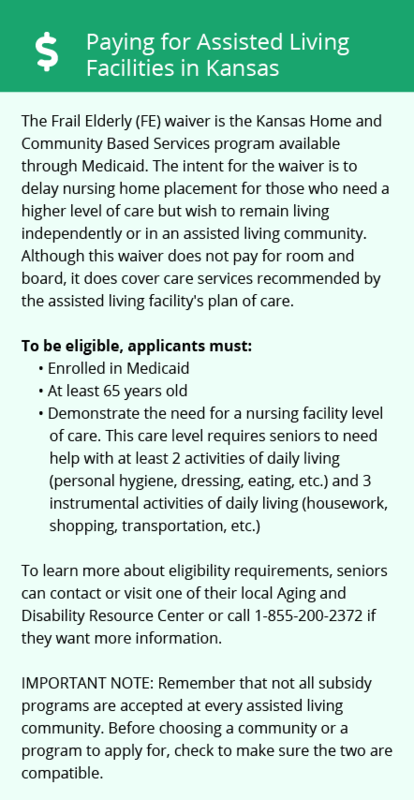 While Kansas does not license or certify memory care facilities, assisted living facilities may provide accommodations for seniors with "special needs," including dementia. Facilities that serve those with dementia must provide training for all employees on handling common dementia-related behaviors and have controlled exits. Kansas exempts all Social Security income for seniors with an Adjusted Gross Income of $75,000 or less. Income from public pensions is also exempt, but all other types of retirement income are fully taxable. Families who are transitioning their loved one to a memory care facility in Hutchinson may wish to speak with a tax expert to determine how the state's income tax laws will affect their memory care budget. Hutchinson is an affordable city to live in, with a cost of living that is about 22 percent lower than the national average. Healthcare expenses are a little below both state and national averages, which may benefit seniors who are managing a chronic condition like dementia. The crime rate in Hutchinson is relatively high, with violent crime and property crime rates that surpass the state and national averages. On a scale of 1 to 100, with 100 representing high crime, the property crime rate is 75.4, and the violent crime rate is 48.7. This is compared to the national averages of 38.1 and 31.1, respectively. Families who are moving their loved ones to memory care here should review their facility's security policies and procedures used to keep residents safe. Hutchinson's summers are hot and humid with highs in the 90s, which may be a consideration for seniors who are sensitive to heat. Winters are cold and dry with lows in the low-20s. The city only gets about 14 inches of snow annually, more than 10 inches less than the national average, which may make local travel easy for families visiting their loved ones in memory care. Memory Care costs in Hutchinson start around $3,102 per month on average, while the nationwide average cost of memory care is $4,778 per month. It’s important to note that memory care rates in Hutchinson and the surrounding suburbs can vary widely based on factors such as location, the level of care needed, apartment size and the types of amenities offered at each community. Hutchinson and the surrounding area are home to numerous government agencies and non-profit organizations offering help for seniors searching for or currently residing in an assisted living community. These organizations can also provide assistance in a number of other eldercare services such as geriatric care management, elder law advice, estate planning, finding home care and health and wellness programs. To see a list of free memory care resources in Hutchinson, please visit our Assisted Living in Kansas page. 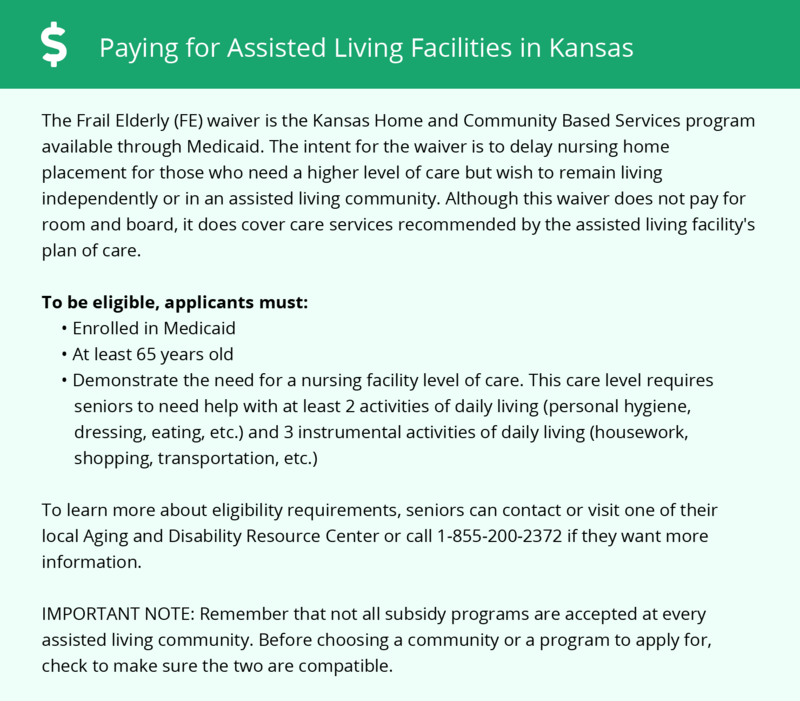 Hutchinson-area assisted living communities must adhere to the comprehensive set of state laws and regulations that all assisted living communities in Kansas are required to follow. Visit our Memory Care in Kansas page for more information about these laws.